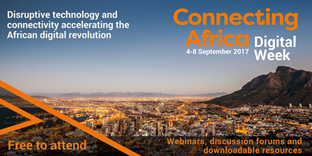 Kicking off in September, this week-long agenda of digital events will encompass the biggest sectors and topics across the African continent; from tech startups to FinTech and eHealth to connectivity. Registering for free will allow delegates to learn, engage and discuss African telco, tech and innovation in real-time with thought-leaders across the globe and put Digital Week delegates at the epicentre of the connectivity ecosystem – wherever they are in the world. Find out more about the Connecting Africa Digital Week here. The Connecting Africa Digital Week is completely free to attend, register as a delegate here. Would have loved to attend but location is a major problem. Still towing the same line with what my friend has posted before. Thanks for always making it real here.